Microsoft has written a history tractates on epitaph full of mesmerizing achievements and so is the case this time along. Microsoft’s latest operating system inspired by Metro Style UI—the Windows 8 consumer preview is out in the hands of the future prospects. The software giant has made a huge leap ahead by following eccentric and sophomoric UI design. Meanwhile, they also ensured that it doesn’t stifle user’s experience since many applications are not yet compatible with newest version of Windows OS. The resultant is prolific. There are some of the most beautiful apps available in Windows 8 store. The post is destined to cover best twitter clients for Windows 8 users. Rowi, MetroTwit and few more twitter clients are already out there to welcome new users with pleasant surprise them in the store. The experience hasn’t just confined to the UI but also expands to features as well. While Rowi has been my favorite app since the early days of my Windows Phone encounter, I’m equally dazed with MetroTwit and other apps. Let’s bung all fascinating UI and take a quick look at some of the options available in the Windows 8 store. The post concludes some of the best twitter clients available in the Windows 8 store. tweeTRO has been developed by Lazywormapps team, a prominent name in Windows Phone community. Lazywormapps is a well known in WP7 community especially for their YouTube application– MetroTube. It integrates traditional clutter free Metro UI design. Users can perform all the basic functions available in any other twitter clients out there. Custom in app browsing, semantic zoom, custom element, gallery view, inline support for images, tweets and web links are some of the unmatchable functions offered by tweeTRO app. The UI is extremely beautiful and clutter less. It is definitely an app to watch out for in the near future. So far tweeTRO is the only app that supports multiple account (up to5!). We definitely recommend it to twitter power users. It is not only beautiful outside but also features rich inside. It is a strong contender to win the title of best twitter clients for W8. 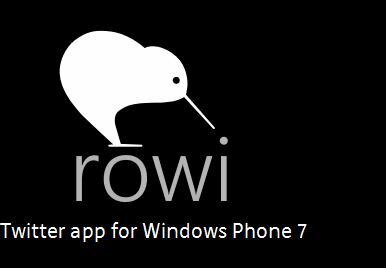 Rowi is an extremely popular twitter client among Windows Phone users. Its sheer functionality and support for many gestures makes its one of the prominent twitter apps for Windows Phone users. 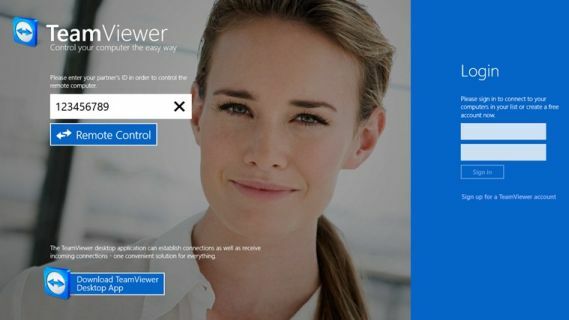 Well, Rowi developer has once again done a fantastic job in developing one of the most comely client for Windows 8. The Windows 8 version is no different. It carries the same legacy and burden to perform well in this new field. Well, it hasn’t disappointed our team. The intuitive interface will keep reminding you of existence of metro UI. The Rowi twitter client is in its infant stage of its development so some of the features are absent from this version. Features like auto-complete of twitter handle and hash tags were not implemented yet. Support for live tiles, multiple accounts were also surprisingly missing. The left hand pane has a home, mention, DM and favorite icons at the top of the application. The below portion opens up the list of tweets based on the selection of the above categories. Clicking on the post will expand in the right hand column with support for in-line images, videos and maps. As mentioned earlier, you may find it less attractive at this point of time. Moreover, multi-column support is not present yet but we’re sure that Rowi team must be working round the clock to sort out all such problems. Overall, Rowi app is a good, if not best, twitter client for Windows 8. Considering the past history of Rowi team we can only crave for more features. 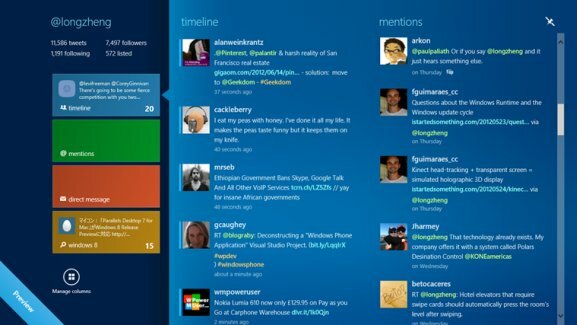 FlipToast is a comprehensive twitter and Facebook client for Windows 8 users. It became the first ever basic twitter client to be offered on W8 platform. FlipToast is a unique social app in the context that it supports multiple social networking sites. It lets you search content from both sites along with heaps of other uber cool features. Expect it to get merrier once the full-fledged version is out. It lets you share your content like photos, status message from within a single application. Moreover, it utilizes social graph feature to enable you to find social content using the search feature. Twitter users can compose tweet, retweet posts, reply to tweet and do much more. On the other hand even Facebook users can perform similar functionality. Unlike, Rowi, FlipToast support live tile update and notification to notify you about the latest messages. 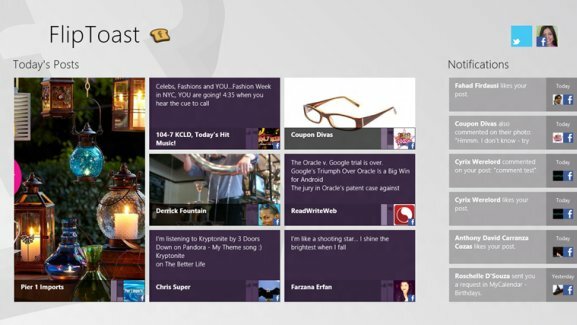 In a nutshell, FlipToast will let you explore the other side of Windows 8. 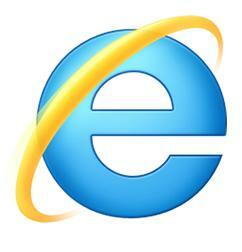 It will explain why Windows 8 is the next big thing. 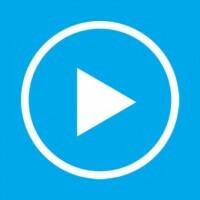 MetroTwit had been reviewed on this blog earlier. It is definitely one of the best twitter client we have discussed so far. It has interactive tile support. 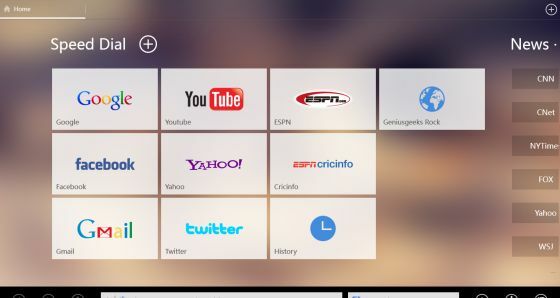 Users can pin multiple column on the home screen to get instant live update on the live tiles. Moreover, the left hand pane will let you take a quick peek at most of the twitter functionality. Users can look at the timeline, mentions, direct messages and twitter search functions easily. MetroTwit is designed from scratch since the counterpart port was not possible. The resultant is jaw dropping. 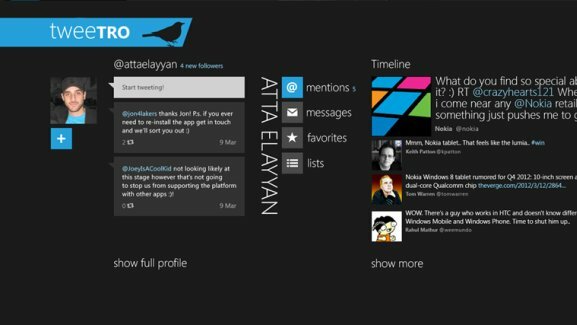 MetroTwit is arguably the most beautiful twitter app available in the Windows 8 store. The whole project is backed up by many known personalities of the WP development team. There is also a version available for Windows XP, Vista and Windows 7 users. It will track your feeds with interactive tiles support. Users can directly reply to tweets or retweet them from the dashboard. If you’re looking for a more complete twitter client then look no further. All of the above applications serve one purpose well that to satisfy the needs of twitter users. However, only MetroTwit seems to be faring well in this department. The rest of the apps are just a basic twitter app with limited functionalities. Of course, it will take some time to port some of the functions to W8 client. 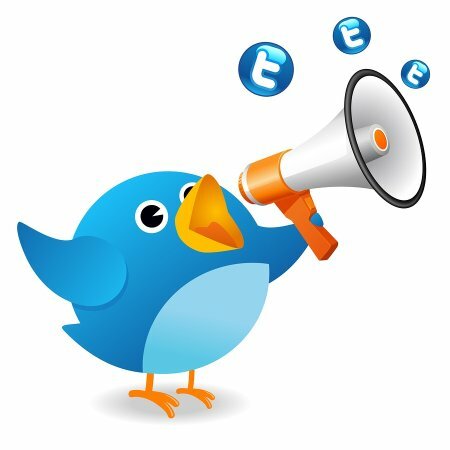 For the time being, power users should opt for MetroTwit or tweeTRO. tweeTRO has a nicer UI and has a potential to become a good client. It is the only client to support multiple accounts and hence we strongly recommended tweeTRO if you are using multiple twitter accounts. On the other hand Rowi carries huge expectations especially after performing well in WP7 community. At the end it all comes down to the personal choice. Have you tried any of the above app? Which app deserves the crown of best twitter client according to you? I’ve had MetroTwit for months now and have to say…it’s rubbish. Cursor jumps when it ‘refreshes’ (I thought it may be due to the Ads so I upgraded but it still does it); there’s no instructions on how to set up the columns (I wanted to add a List to the screen but no); all in all it’s an assache to do anything.